Time doesn’t have to be a flat circle. The latest trend in luxury is toward square wristwatches, with the British edition of GQ magazine noting that, “A square watch is one of those ‘tells’ that shows you play it cool.” High-end watch manufacturers have even been reissuing some of their classic square watches, with some selling for as high as $10,000. 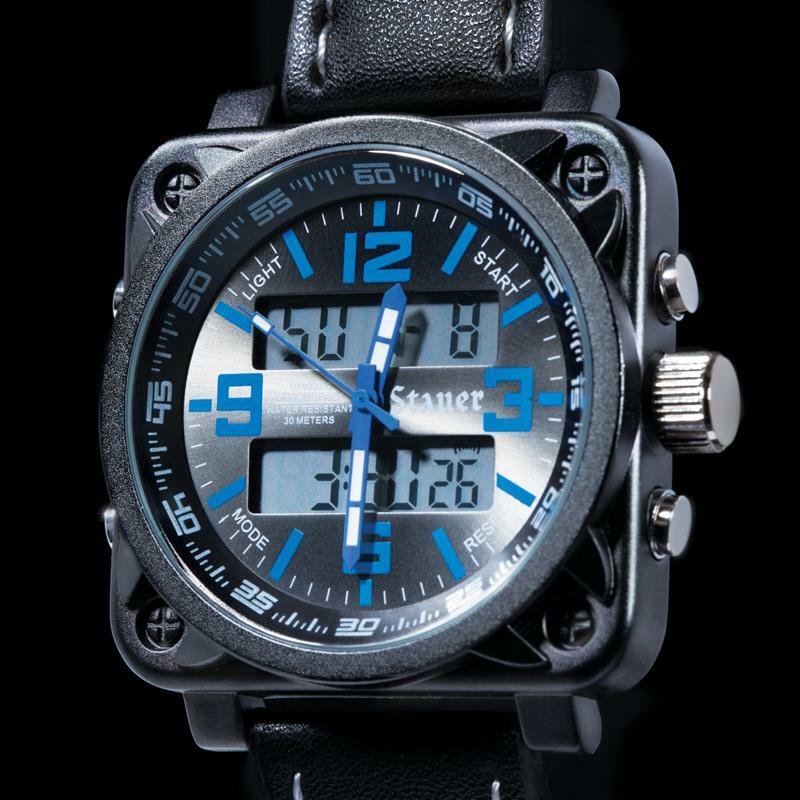 We like to keep our watch collection cutting edge, and so we present the Quad Hybrid Watch as a bold example of the new, non-circular wristwatches, with a square, black case housing a traditional round watchface, which displays the time in both analog and digital format, and also features a digital date window. 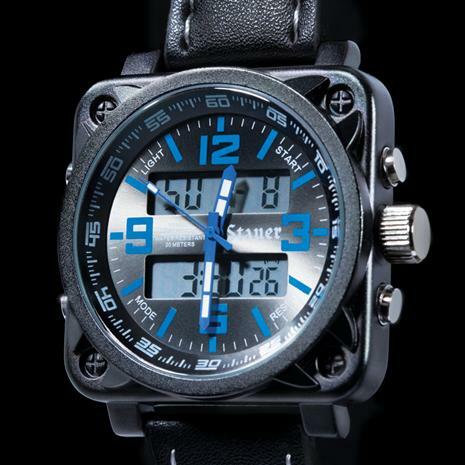 The black leather band with white stitching adds an extra touch of sharpness to the Quad. We’re excited to embrace this trend and proud to be on the same page as tastemakers like our GQ friends across the pond. Our only quibble is that we don’t think you should have to part with five-figure sums for the pleasure of four right angles. That’s why the Quad is just $89, delivering the flair of square watches at a fair-and-square price. Fits wrists up to 8 ¾"